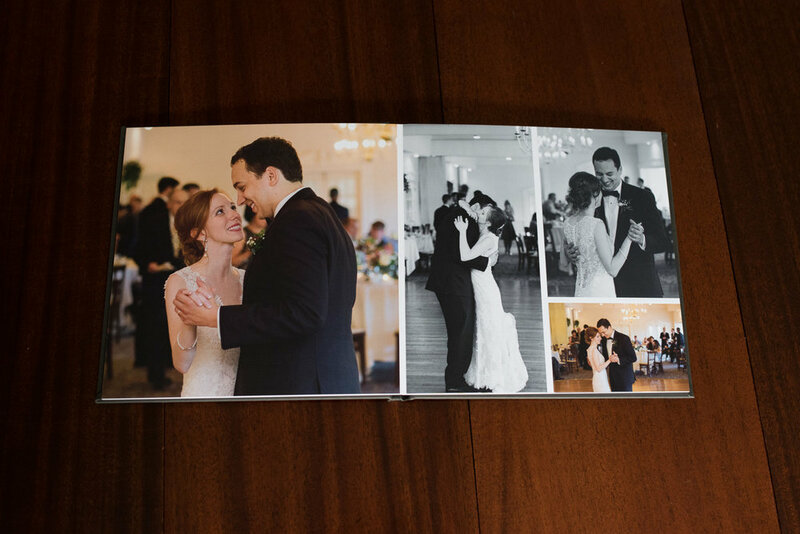 Albums are a great addition to any wedding or portrait package. Currently I offer two types of wedding albums, a 10x10 Signature Wedding Book and a 12x12 Luxury Leather Wedding Album. 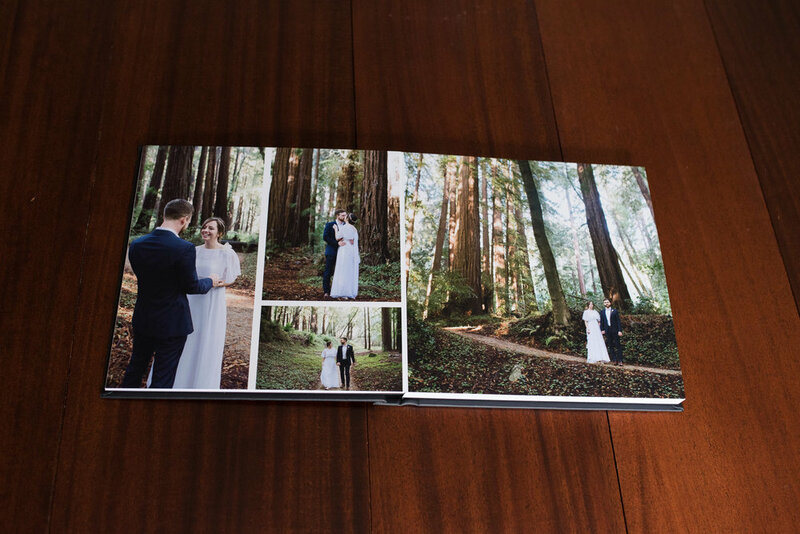 The 12x12 Wedding Album features a genuine leather cover, 15 spreads and can comfortably hold 60 photos giving it a high end heirloom feel to it. 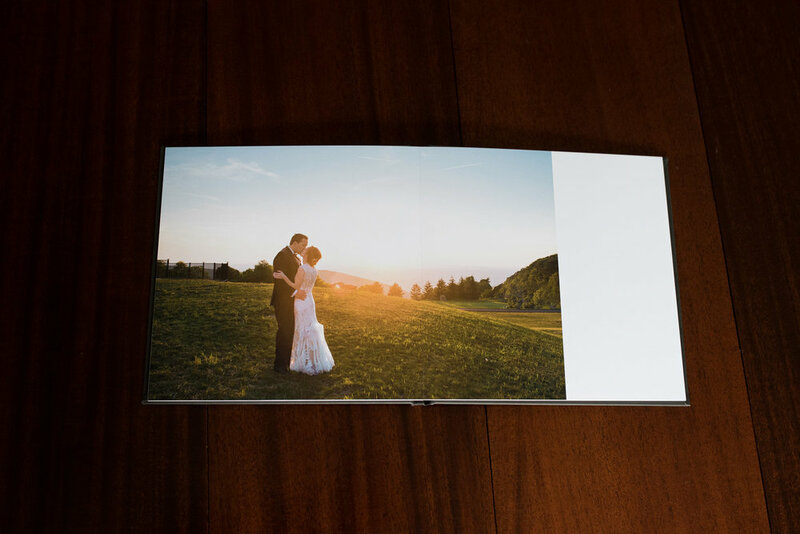 Prints are mounted flush to a 1/16" board, offering a solid weight and feel to each page. There is no middle gutter so images are able to lay flat between spreads. 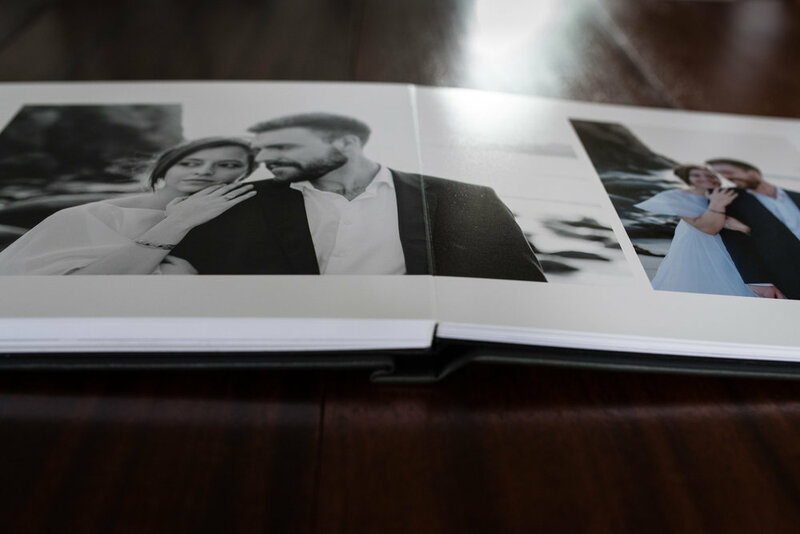 The 10x10 album is a more economical option with a faux leather cover, featuring 10 spreads and holding a recommended 40 photographs comfortably. Pages are printed on sturdy matte press paper.